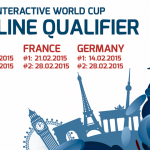 Season 2 of Online Qualification for the FIFA Interactive World Cup 2015 has begun! Gamers from all over the world resumed the monthly challenge to try and claim a priceless qualification seat at the Grand Final of the world’s largest gaming tournament on Saturday. The second of the six month-long online qualification seasons for FIWC 2015 runs from 1 November to 1 December 2014. From October 2014 to April 2015, millions of gamers will try to claim one of the available qualification seats for the Grand Final. At the Grand Final, reigning champion August Rosenmeier, 16 online qualifiers and 3 Live Event winners will try to become the world champion of EA SPORTS™ FIFA 15. The FIWC 2015 champion will walk away with a trip to the FIFA Ballon d’Or and USD20,000 in prize money. The 20 Grand Finalists for FIWC 2015 will receive trips to Munich where they will stay in world-class hotels, experience a variety of activities and compete for the FIFA Interactive World Title in some of the most exceptional locations that the German city has to offer. You could be just 90 online matches away from earning the chance to experience the Grand Final. Join and compete with the FIFA 15 elite. Sign up in game now! There are six online seasons and 16 available qualification spots through online qualification for FIWC 2015. Every online season, the two players that finish at the top of the season’s leaderboard will earn a qualification seat. Additionally, the four best third-place finishers across the six online seasons will also receive a Grand Final seat. You can view all the dates on the Tournament Format page. one Host Country Live Qualification Event. All live qualifiers will be played with EA SPORTS™ FIFA 15 on the PlayStation®4. One of the most exciting changes to the FIWC format is that players can now only play a maximum of 90 matches in a single online qualification season. 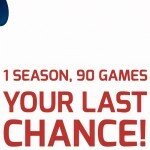 Once you reach the maximum amount of games, you will be unable to compete for the remainder of the season. Once a new season begins, players that reached the cap in the previous season will be able to resume playing. The search for the best goal of each online season begins now! Every season, they will be taking the best goals scored in the FIWC and presenting them to the community for voting. Score a top-class FIWC goal and and you could be voted the Goal of the Season! Get over to the home of the FIFA Interactive World Cup and sign up now in game. 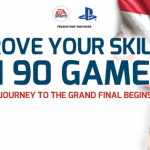 Prove your skills in 90 games and you could be on your way to the Grand Final.